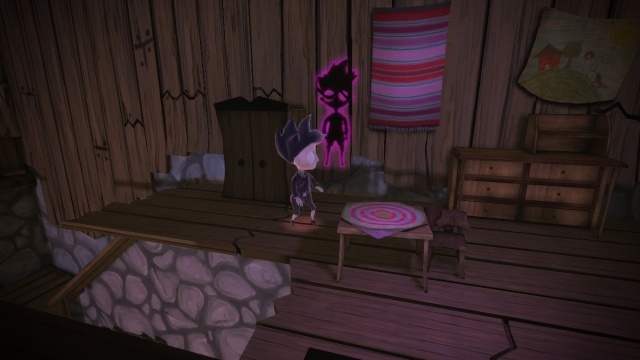 The gameplay in Shadow Puppeteer is relatively unique, you must team up with the protagonists shadow in order to solve puzzles and progress through the platforming stages. 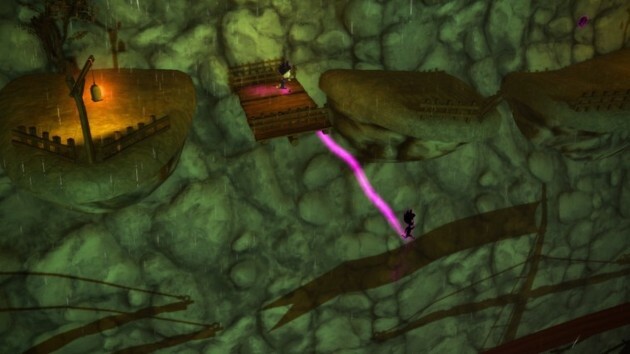 The protagonist must traverse through a 3D plane whereas his shadow must navigate a 2D plane as he can only travel across the walls in most situations. The co-op is where this game truly shines and it's quite enjoyable. One player controls the protagonist, while the other controls his shadow overall the game is much more enjoyable when playing with a friend! The game does have issues though such as repetitious stages and puzzles which really hurt the game overall. The controls in the game are fairly solid, however it's quite challenging to control both characters at once in single-player mode. Visually the game is really good looking, especially the animated cutscenes which look amazing! The character models are fairly unique as well, but the stages themselves are a bit bland looking which is a bit disappointing. In-terms of audio the game's sound effects are fairly good and the music also fits the game very well! Overall the audio-visual presentation in Shadow Puppeteer is great! 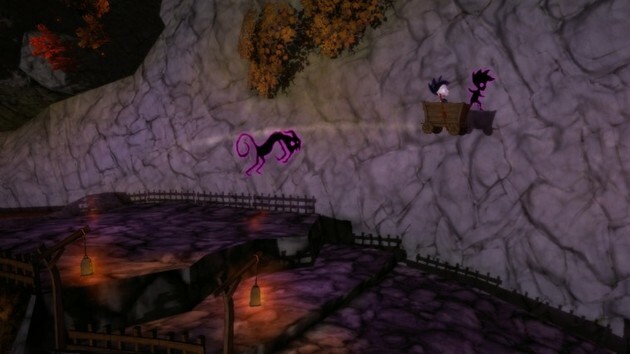 With solid gameplay that is quite unique, fantastic co-op, and a great audio-visual presentation, Shadow Puppeteer has its moments and can be a very fun game, however sometimes confusing controls and repetitious gameplay really hold the game back, but overall we give Shadow Puppeteer a solid recommendation! @DBZmania Thanks! Welcome back dude. I have this game and it's superb. I completed this game 100% in 7h22m. Love the dark fisher village atmosphere and the beautiful music. The levels are nicely compact, welldesigned and never feel too long. Controls are simple enough for controlling two characters at once, however the collision detection, camera, and physics can get iffy occasionally. I only had some minor glitches, nothing gamebreaking. The game didn't run smooth all the time and it could really use a bit of finetuning, but even in it's present state I found it an addicting and enjoyable little puzzle platformer. The developers informed people on Miiverse that they work on an update for better stability and bugfixes. For all that effort and love to detail put into this game (almost a retail-game like presentation), and for how enjoyable it was puzzling your way to the exit and exploring the stages for orbs, and for thanking the devs that they put it on sale so soon and still work on it to make it better, I give it an 8/10. @SKTTR Thanks for sharing your opinion. @SKTTR wrote: I completed this game 100% in 7h22m. Love the dark fisher village atmosphere and the beautiful music. The levels are nicely compact, welldesigned and never feel too long. I loved this game from beginning to end.